Even if the ecovillage life may not be for you, Karen Litfin’s journey illuminates this alternative world and teaches us how we can learn from their examples. Globally speaking, things haven’t been going so great; economic decline, environmental devastation, and increasing rates of inequity, depression, and isolation are all rampant just as climate change is accelerating. Many blame traditional, old-school economic world views, characterized by the global pursuit of ever-increasing economic growth above all else, for our current state. In response, some economists are shifting focus towards new goals, like happiness, and much attention has been paid to alternative economic models and innovative ways of living that support a more resilient future on all fronts. For example, you’ve likely heard of the growing sharing economy by now, or the collaborative consumption of typically ‘private’ resources. Think car sharing, house sharing, co-ops, tool libraries, and community gardens and kitchens. Not only does this model slow resource consumption, but it also increases social connectivity among participants. And we’re pretty good at it here in Portland, just ask Oregon Business, Portland Monthly, and the Freelancer’s Union who all wrote about our unique city in 2013. The Freelancer’s Union even officially declared a crush on us because we just “get it” here in Portland! But the sharing economy, and the broader pursuit of overall well-being, isn’t anything new; ecovillages have been doing it for decades, and with passionate commitment. Ecovillages are intentional communities that actively live and work together towards not only economic goals, but also social, environmental, and often spiritual aims. Oregon itself is home to 87 listed intentional communities. Globally, there are tens of thousands; and each one offers its own unique take on resilient living that we would do well to learn from. 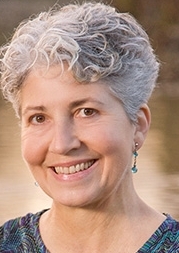 University of Washington professor Karen Litfin explored and studied fourteen of the most internationally recognized ecovillages around the world from Australia to Sri Lanka. Her findings are inspiring, documented in her new book, Ecovillages: Lessons for Sustainable Community. Even if the ecovillage life may not be for you, Litfin’s journey illuminates this alternative world and teaches us how we can learn from their examples and incorporate ecological, economic, community-based, and spiritual elements into our own lives to make changes towards the more resilient future we strive towards. Dr. Karen Litfin will be visiting us here in Portland to share her experience, photographs, and highlights from her research. Don’t miss the opportunities to see her speak and grab a copy of her book. Along with the Northwest Earth Institute and The Ananda Center at Laurelwood, we’re hosting her here at Ecotrust on Thursday Jan 9th, 7-9pm.